Published on March 4, 2016 in Uncategorized. Closed Tags: 2016, border crossing, greece, iraqi, limitted, Macedonia, Syrians. Authorities confirmed they will deny entry to Syrian and Iraqi asylum seekers who declare the intention to reach Western Europe because of family reunification, education and to avoid military recruitment in their country of origin. The Macedonian police confirmed that those who stayed for more than 30 days in ‘safe third countries’ like Turkey and Greece are also not anymore allowed to cross into Macedonia. 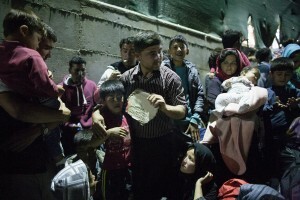 Only Syrian and Iraqi citizens who declare during an interview with the police that they are fleeing war, and seeking asylum are now permitted to pass into Macedonia. Published on October 6, 2015 in Uncategorized. 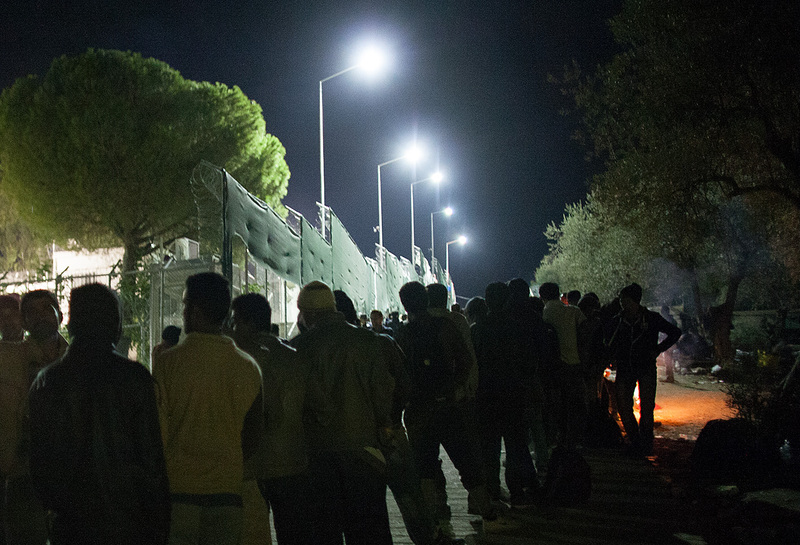 Closed Tags: 2015, afghan, detention, first reception, greece, iraqi, Lesbos, lesvos, Moria, registration. Published on April 4, 2012 in Uncategorized. Closed Tags: albania, athens, deportation, greece, iraqi, marocco, nigerian, PAKISTANI. More than 90 immigrants were sent back to their home countries on Wednesday, police said. Some 78 migrants from Pakistan, Iraq, Morocco and Nigeria were repatriated on charter flights while 16 Albanian nationals were transported to the Balkan state that borders northern Greece by bus, police said. All the repatriated individuals had been arrested on charges of “illegally” entering the country. Published on December 4, 2011 in Uncategorized. Closed Tags: court case, crete, greece, igoumenitsa, iraqi, kurdish, police violence, repression. The Greek police arrested a refugee who is main witness of a murder case, where a coast guard officer from Igoumenitsa is being accused of murdering another refugee. Sali is a Kurdish Refugee with serious health problems (he has only one lung) and he is the main witness for a murder case, where Greek coast guard shot Arivan, another migrant, to death in the port city of Igoumenitsa. He has to participate in the court case as witness on the 16th of December. Anyway, he was arrested on the 2nd of December in Crete. Originally the police was called to his place by neighbours for some small argument, but when they found the call to the court in his flat which clearly says that he is a witness against the coast guard he was immediately arrested, badly beaten and brought to the public prosecutor who ordered an administrative deportation for Sali. This police action was clearly a revenge. Sali was released on the 3rd, while his brother and another sans-papiers, both arrested together with Sali, remained in prison with the aim of their deportation. Published on November 20, 2011 in Uncategorized. Closed Tags: athens, detention, greece, iraqi, kurdish, NEWS, repression, sans-papiers. Two detained Kurds from Iraq were severely maltreated, even tortured while they were in detention on remand. It began in the detention facilities of the appeals court and culminated in the cellar of Petrou Ralli aliens police detention. 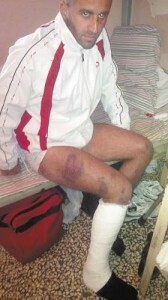 Guard from Koridallos prison where the detained victims were finally brought to became witnesses of the last beating in Petrou Ralli and of the highly injuries marking the bodies of the two Kurds. One of the two sans-papiers fainted and had to be transferred to hospital of the prison. He was all covered with blood. Due to insufficient medical treatment possibilities he was transferred to the hospital “Red Cross”. On his own will he decided not to stay there fearing the police officers who were guarding him there. Both guards and the director of the prison reported the maltreatment to the authorities. The brutal incident is being currently researched by the internal affairs department of the police. Both of the victims reported their maltreatment. Published on September 28, 2011 in Uncategorized. Closed Tags: afghan, athens, border deaths, distress at sea, fortress europe, greece, iraqi, italy, kurdish, letter, sans-papiers, transit. In the open sea close to Zakynthos a group of 65 Afghan and Iraqi-Kurdish refugees experienced days of terror and fear when they were trying to reach the Italian shore. They were in serious danger of death by drowning and starvation when their boat went into distress. Among them were many children and families. One of them lost his life, while trying to save himself by swimming. Two others took their last breaths in the hospital, following their rescue after 11 days on the open sea. The tragic story of refugees and migrants who are forced to leave behind their home due to war, poverty and persecution takes no end. Among the refugees in the boat many had already lost relatives on the sea and land borders on their way from Afghanistan and Iraq through other countries and until here. Their tragic stories continue in Greece, a country, which in the name of crisis and a repressive migration policy of Fortress Europe denies providing refugees with their basic rights, with a functioning reception infrastructure and integrating them into social and economical life. This gives the extreme-right a leeway to target them both ideologically and in practice on the streets and to use them as scapegoats of a policy of poverty and misery. It leads the refugees and migrants to a further quest for a safe life in another country – whatever it may cost. This incident is not rare but it is a tough reality with many victims. Many boats in distress, many deaths at the borders – and the European governments are well aware of it. 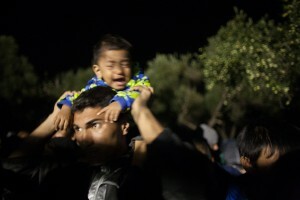 Following this tragedy some of the survivors returned to Athens, among them a single father with his two small kids (4-6 years old) in his arms, searching for some corner on the squares and streets of Athens. In their hands the deportation order, which the police authorities gave them without asking where they will go or what they will eat. Nobody asked them if they need protection or if they want to claim asylum.